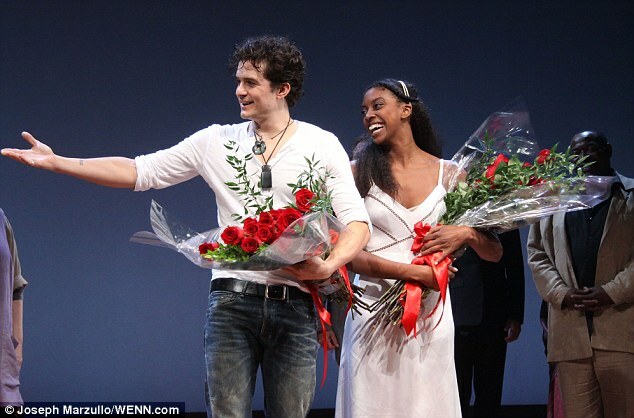 Event Cinema: Orlando Bloom is coming to a cinema near you – as Romeo in the Broadway production of Shakespeare’s tragedy. “This February, national cinema advertising leader and alternative content provider Screenvision and newly formed company BroadwayHD bring the Broadway production of ROMEO AND JULIET to movie theatres nationwide.” It will run 13-19 February, making it not so much a one-off event as a latter day version of Richard Burton’s Electronivision Hamlet. Link. US: More cinema-related gun crime, this time in Virginia. “The Richmond Police Department has arrested one of three suspects who robbed the popular Bow Tie Movieland at Boulevard Square early Tuesday morning. Around 2:40 a.m. on Jan. 14, officers were flagged down at the multiplex at 1301 N. Boulevard. According to RPD, three masked suspects, all armed with handguns, robbed several employees as they were closing up the building. All three suspects fled on foot.” Link. US: “Norfolk’s [Va.] only single-screen cinema entered the digital age last week. The Naro Expanded Cinema premiered its new digital projector Thursday Nov. 21 with a screening of the classic black and white silent film, Safety Last.” The $80,000 upgrade was funded by the cinema’s donation drive that drew over 400 benefactors, highlighting how some of the last analogue cinemas in the US make the switch through community funding. Link. US: Tuscon Arizona’s independent and arthouse Loft Cinema already has digital projection but still needs to raise $2.5m for renovation. Providing accessibility is one of the main reasons. Link. US: Movie dining. “Roswell and Cobb-area residents can now see the latest blockbusters while enjoying a full meal and a cocktail delivered directly to their seat, thanks to the newly opened Movie Tavern at Sandy Plains Village.” The multiplex also has its own Imax-like premium screen called M-TX, or Movie Tavern Xtreme. Link. Advertising: “The iconic M&M’s candies call for filmgoers to turn off their cellphones and respect their fellow theater patrons in this mock blockbuster action-movie trailer from BBDO that marks the first time all six characters have appeared in a single spot.” Link. US: “The Jackson Heights Cinema, which reopened four years ago in the hopes of bringing multilingual films to the neighborhood, has closed its doors after owing back rent.” It was one of the few cinemas in New York city to show Bollywood films as well as Hollywood films in Spanish. Rent went up to $28,000 per month. Link. UK: The northernmost cinema on the British mainland has enjoyed considerable success since opening in 2012, in large part through screening live events. “Our Event Cinema business has brought in audiences who didn’t go to the cinema previously and were unsure of it or thought it was for the teens,” [owner Rob Arthur] said. “The National Theatre, Royal Opera House, Royal Shakespeare Company, English National Opera, The British Museum and Andre Rieu have enabled us to broaden the cinema audience and those same people come back to watch films such Sunshine on Leith, Philomena, Gravity and The Railway Man.” Opening a bar and restaurant apparently also helped. Link. India: From Variety. “The National Museum of Indian Cinema will open its doors in Mumbai next month. The 6,000 sq ft heritage building is the first phase of a proposed 50,000 square feet museum facility.” Link. France: A 1% tax on smartphones and tablets has been proposed to help fund the cinema conversion to digital. “René Bonnell has finally presented his report on the financing of the cinema industry in France, advocating that the fiscal lever be applied to secure future resources, and recommending notably that a tax be imposed on Internet connected devices used for storing and reading cultural content.” Link. Home vs cinema: Troubling statistics. Headlined, “Americans prefer watching movies at home over cinema” the article begins “A Harris Poll finds that while roughly two-thirds (68 per cent) of US adults went to the movies at least once in 2013, just about the same per cent (66 per cent) say they’re going to the movies less often now than a few years ago.” ‘Echo Boomers’ are almost twice a slikely as ‘Matures’ to have seen at least one movie in the last year, while “Concession prices (62 per cent) and rude moviegoers (56 per cent) are the top selections – by a wide margin – as the worst things about going to the movies.” Link. Digital cinema: Researchandmarkets has released a new report on digital cinema. “The analysts forecast the Global Digital Cinema Screen market to grow at a CAGR of 11.45 percent over the period 2012-2016. One of the key factors contributing to this market growth is the cost reduction and benefits for film producers.” Technically it is the distributors, not producers, that benefit most from cost reductions. Link.